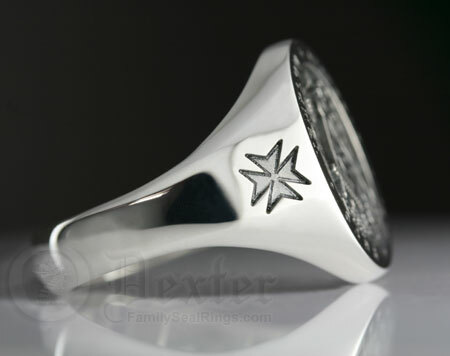 We can deep engrave a selection of Masonic designs onto the shoulders of your signet ring. NOTE: this is DEEP engraving not shallow surface engraving and as such will last a lifetime. Available with any signet ring. ANY OF THE DESIGNS BELOW: Other designs are available.